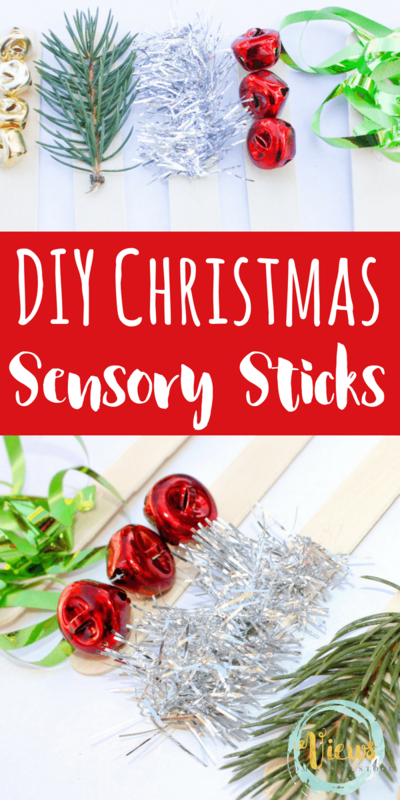 These Christmas sensory sticks allow for exploration through the senses of smell, touch, hearing and sight, and, they are incredibly simple to put together! 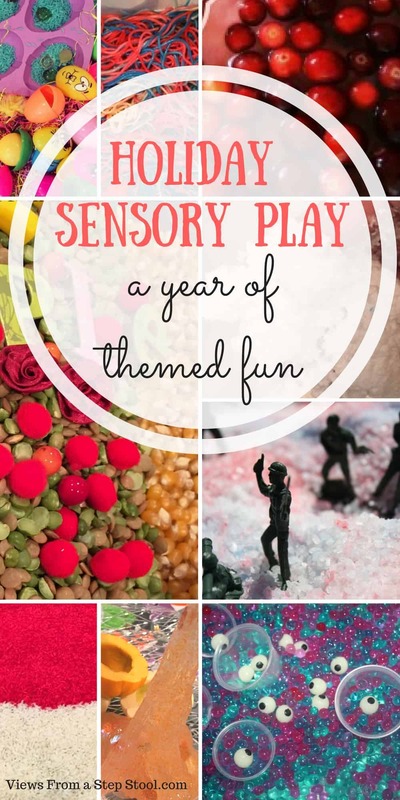 Engaging all the senses is a really fantastic way to promote learning through play. 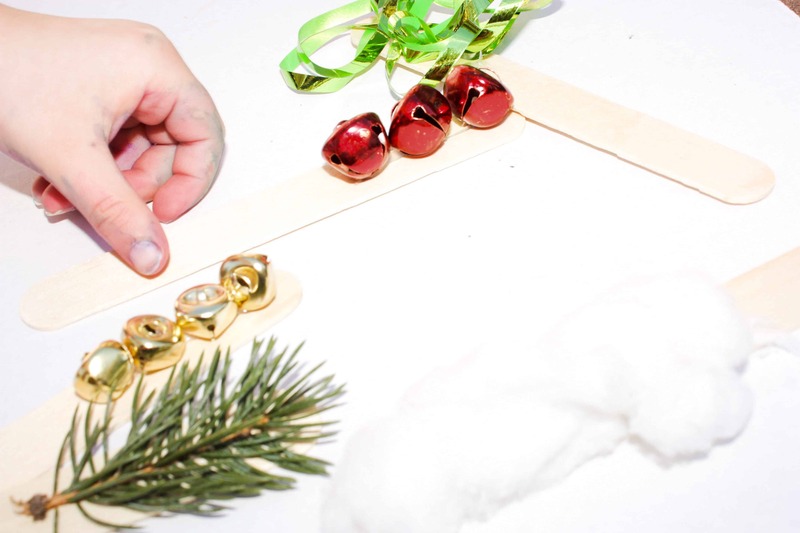 Hands-on play and the ability to really explore materials creates lasting memories and a depth of understanding. 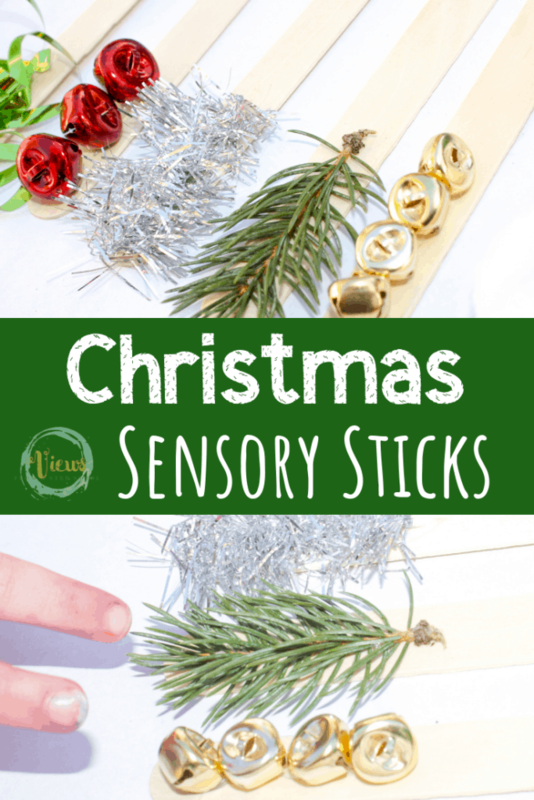 These Christmas sensory sticks allow for exploration through the senses of smell, touch, hearing and sight, and, they are incredibly simple to put together! 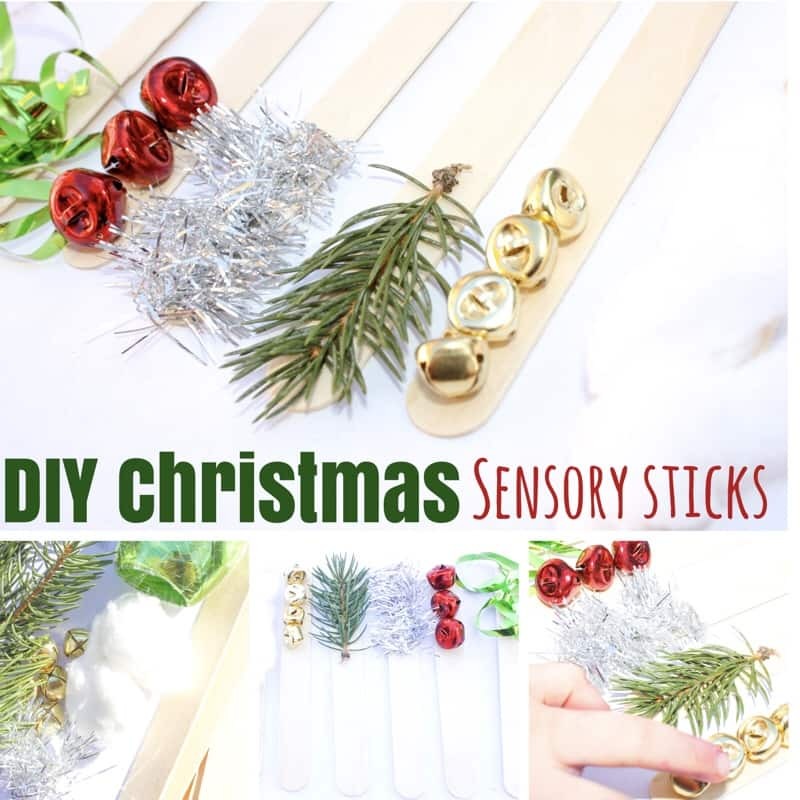 They were inspired by these sensory sticks, perfect for early learning! Hot glue the various materials to the craft stick. Pretty simple right? 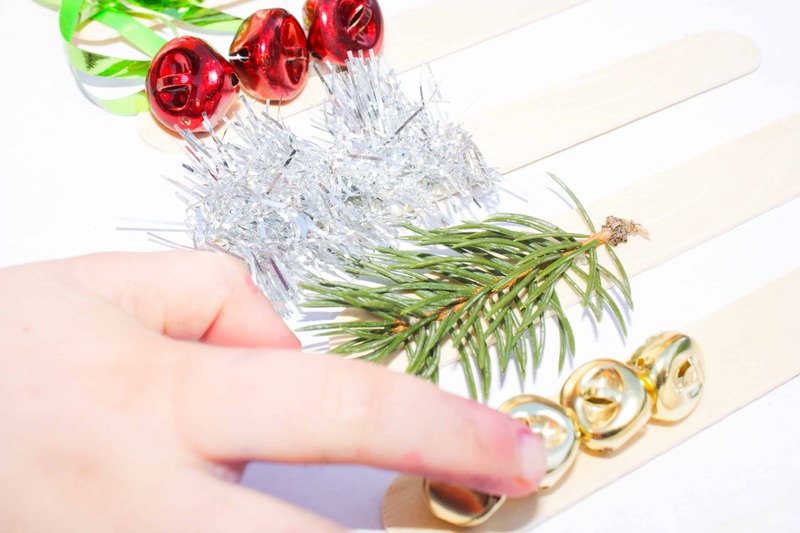 Ask your child questions about the materials to further engage them. 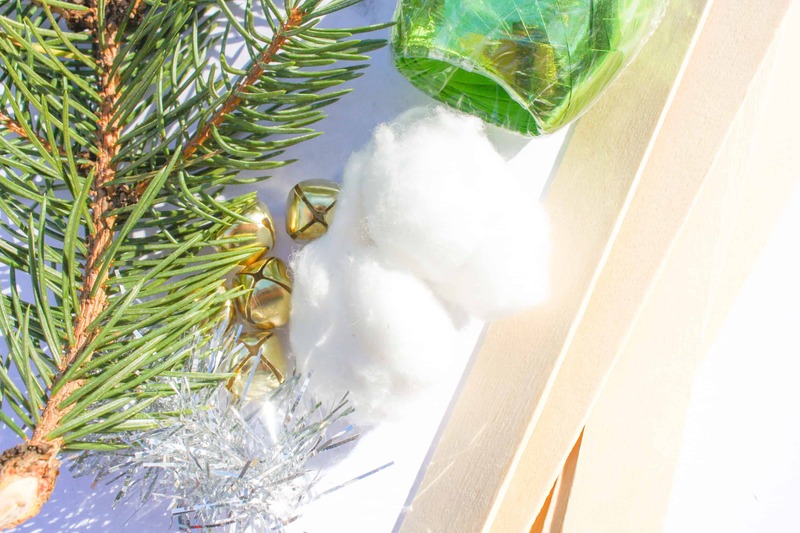 Questions such as “How does it feel?”, “What does it smell like?”, “What colors do you see?” are all great ways to expand their vocabulary and begin a conversation. 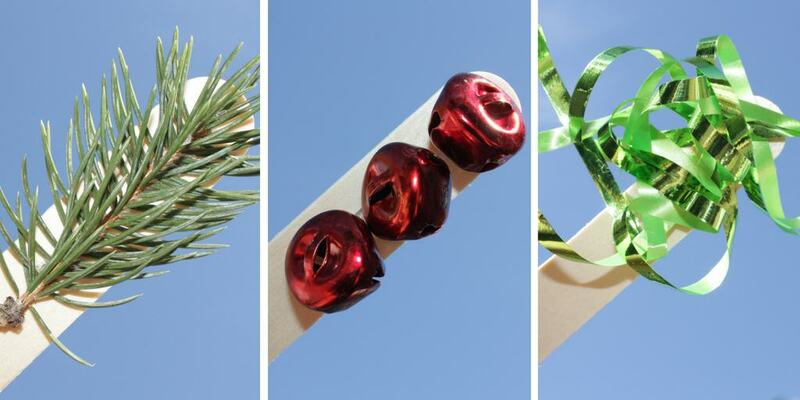 My kids have enjoyed smelling the small branch of the tree, and marching around with the bells. 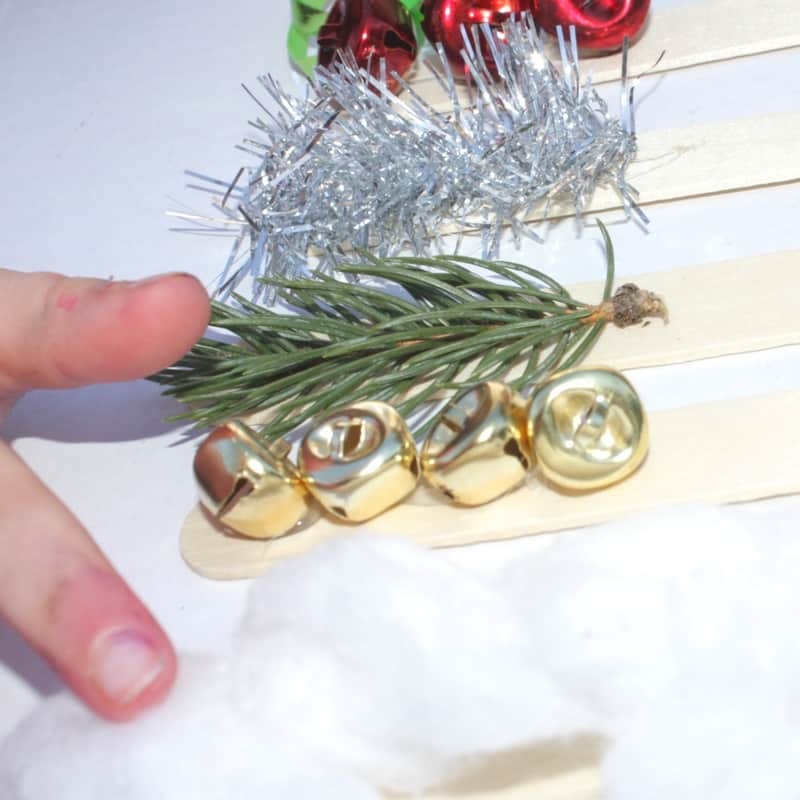 We used two sizes of bells, and the kids have been taking extra notice to the difference in sound between the two! 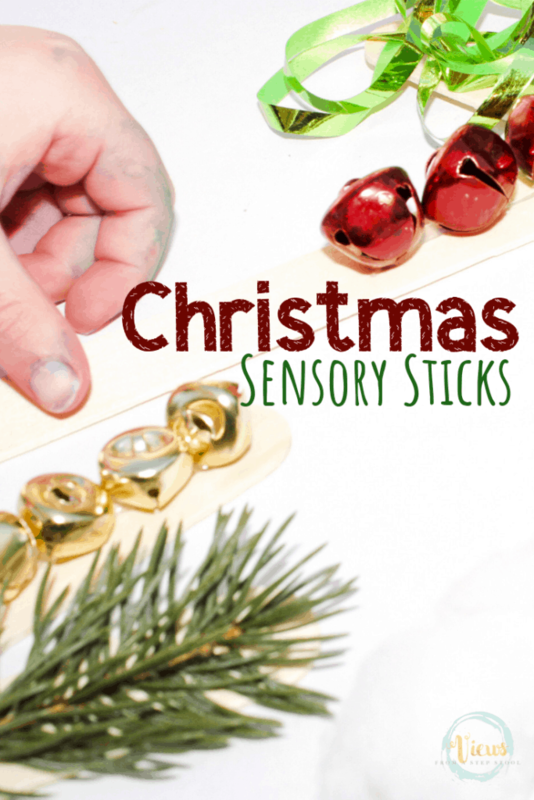 Want more sensory play ideas for the holidays? 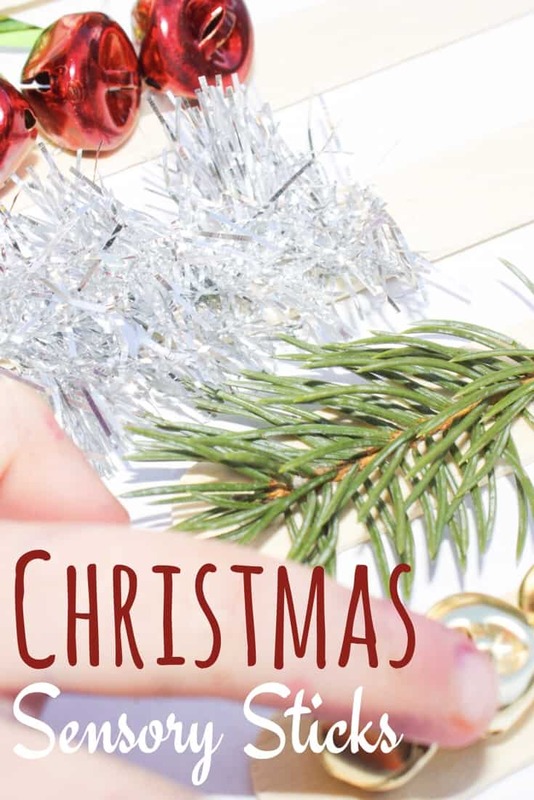 We have a few more for you before you go! 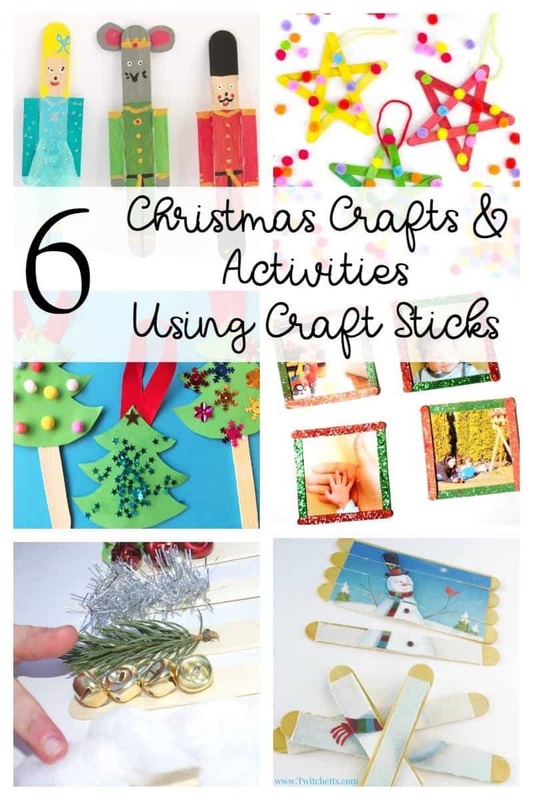 More fun Holiday ideas using craft sticks!